Laugh Factory. You know that name for a reason. It’s known far and wide for their legendary lineups from Los Angeles to Chicago, and all those satellite cities in-between. Laugh Factory it’s the ubiquitous brand of comedy that was once a favorite haunt of the likes of Tim Allen, Ray Romano, Eddie Murphy, Jeff Foxworthy, Adam Sandler and even the late greats like Bob Hope, Bernie Mac, Andy Kaufman, Rodney Dangerfield and the beloved Robin Williams. Over the years, the line-up has become a roster of the best-of-the-best… and somehow it’s always a place where someone get’s discovered. So while you’re looking for a good time, you’ll want to choose wisely and find yourself at the Laugh Factory Las Vegas, since you never know you will find center stage but it’s sure to deliver. While there are a several options for comedy in this town, you absolutely do not want to miss the stellar line-up of comedy’s all stars. Located at The Tropicana, you’ll discover a couple of great comics doing their acts every night for weeklong sets. It may be a headliner or a local discovery, but either way it’s sure to be a ‘laugh-your-socks off’ kind of night. And since this Vegas, it may be more than your socks that come off during the night. It was a funny show, of course. I had a few comedians with the show I went to. You never know what type of comedy you are going to get, but there is usually a small headliner that’s reknown. 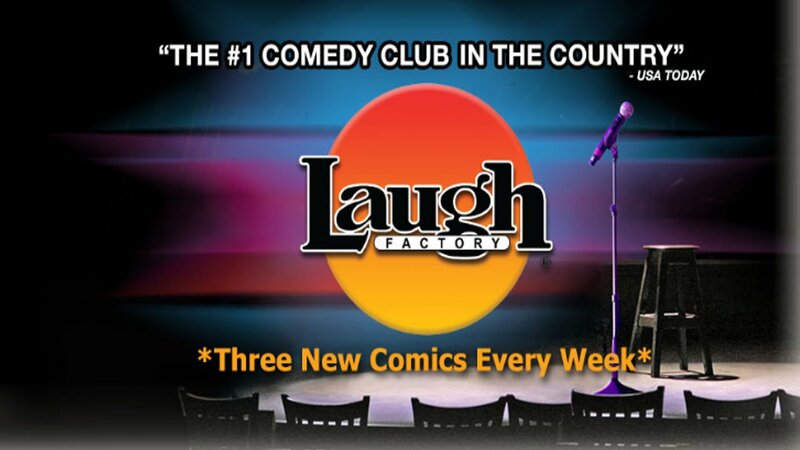 With comedy clubs in almost every major city Laugh Factory is one of the most iconic stages to perform on as a comedian. Every comedian from famous to up in coming has graced the Laugh Factory stage. A fun filled night that is sure to please everyone looking to laugh the night away. The show had a total of 3 comics I almost peed my pants on the second guy. The first one was ok, he seemed nervous. I would go again. The showroom was small and the stage was small as well, kept it a nice intimate show. My friends and I had so much fun at this comedy club. It was a nice intimate setting, very small theater. Every comic that came on stage had my group in tears!